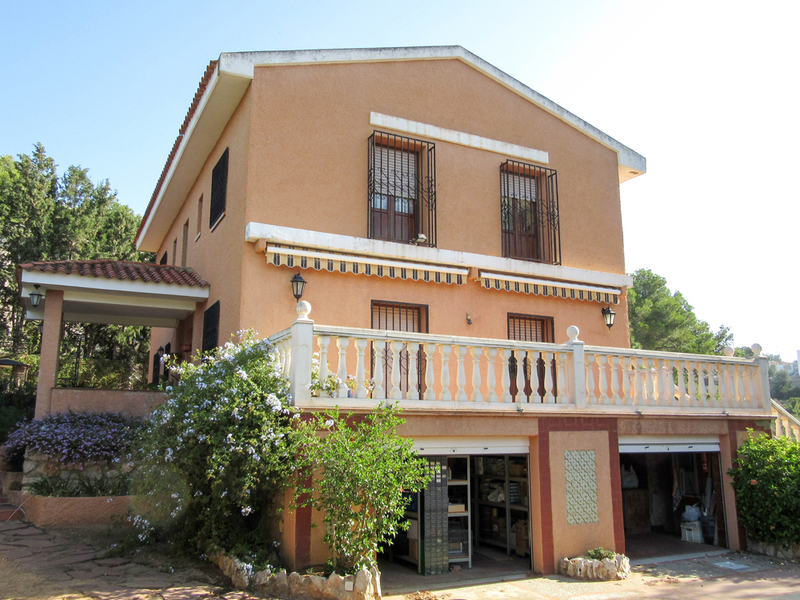 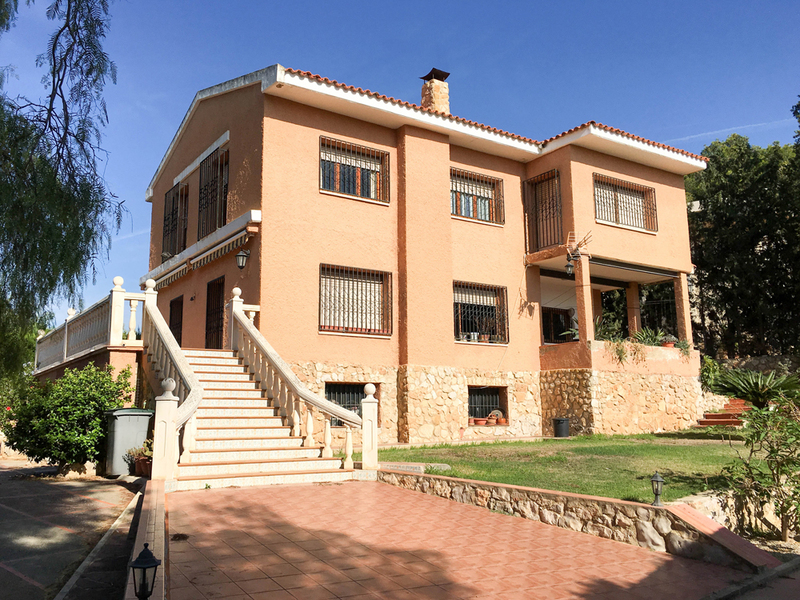 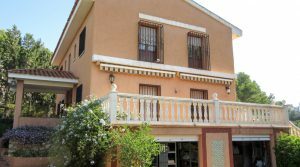 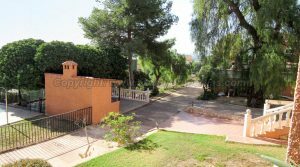 This is one of our large Valencia houses for sale and is located on an urbanisation in Torrent on the Urbanisation ‘Cumbres de Calicanto’. 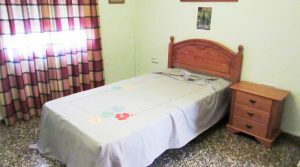 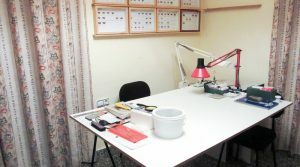 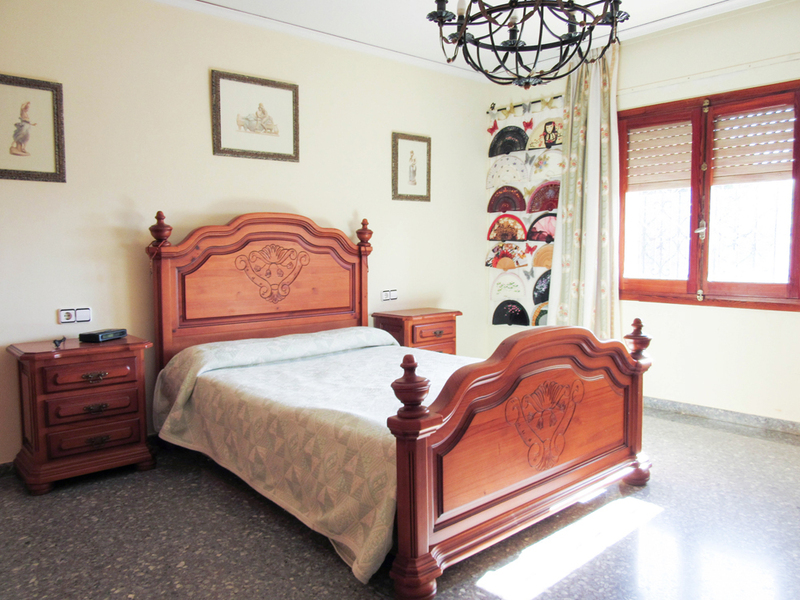 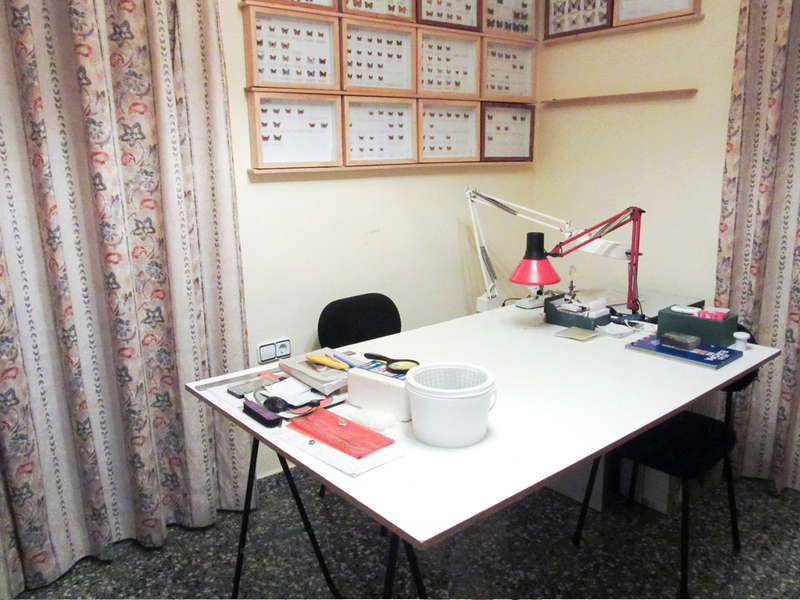 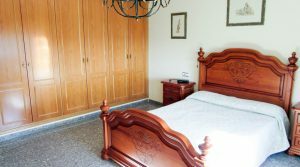 You have excellent assess into Valencia city and the town by the local bus into Torrent, where there is a metro train station. 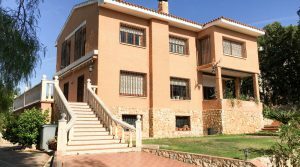 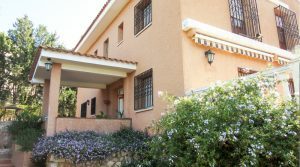 There are also both international and state schools close by, together with all amenities including the prestigious El Bosque golf course which is 5 minutes drive by car. 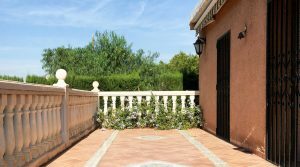 You have a double gated entrance to the property with a long driveway taking you up to the front of the villa with lots of space for your cars and with a separate driveway for exiting the property out of another gate on the perimeter of the grounds which is an elegant feature. 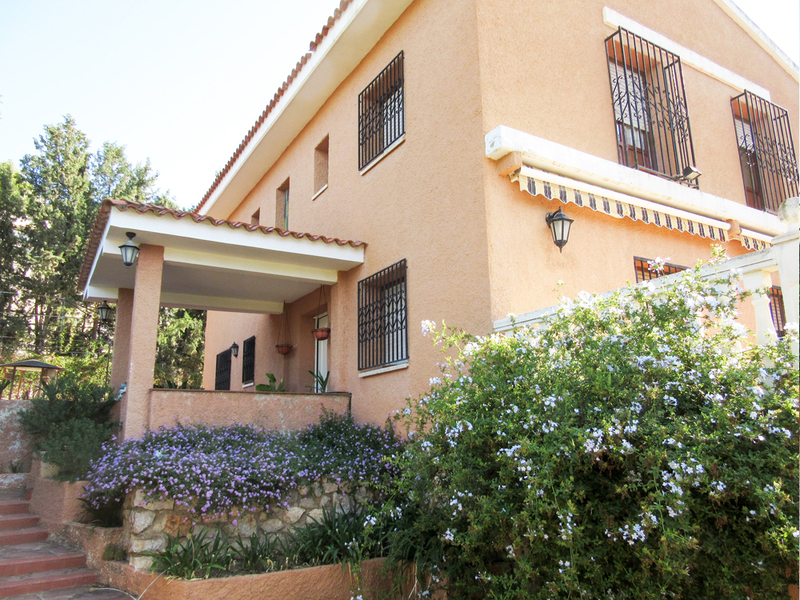 This main villa is large and has three levels. 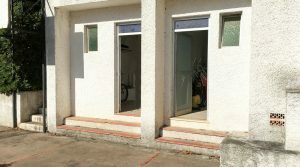 In the under build you have a double garage together with a workshop area. 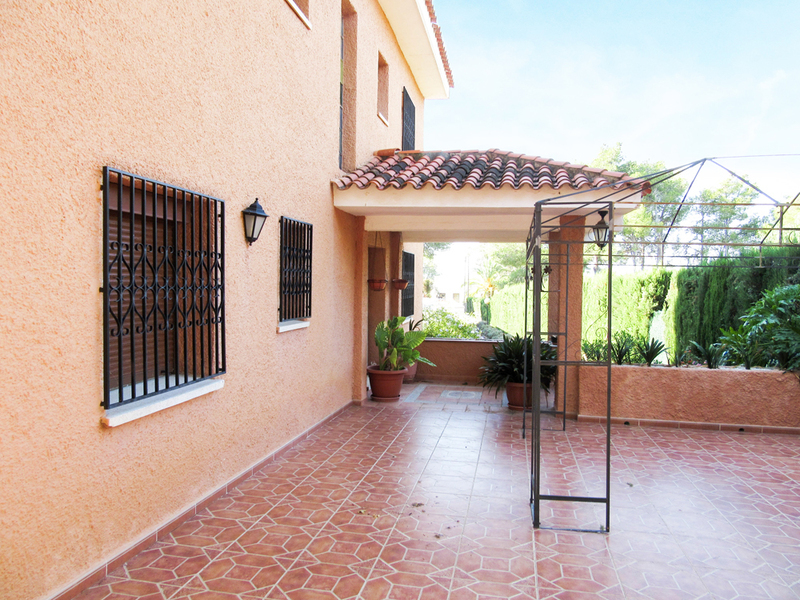 There is also an internal staircase from the garage taking you up to the the ground floor. 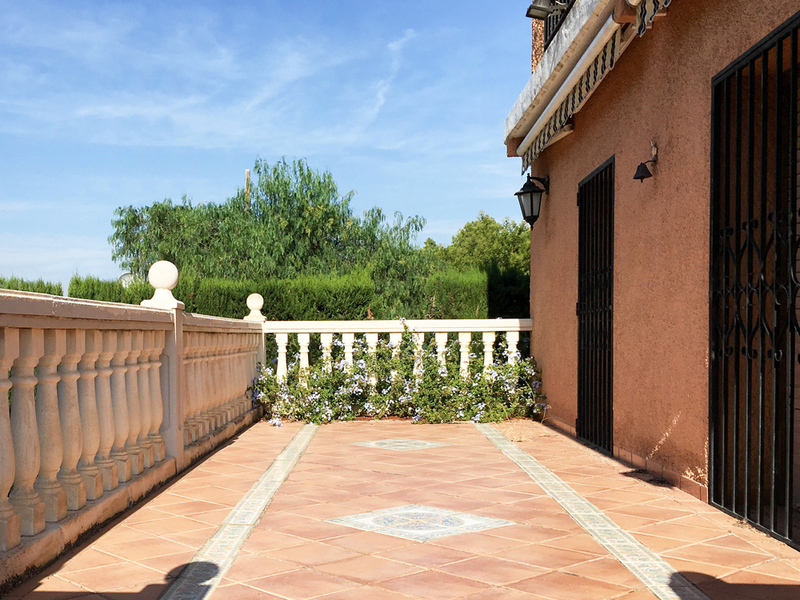 The main access to the ground floor is from the front door which takes you in to a reception hallway and open plan to the large lounge/dining room with a fan assisted log burning stove and patio doors taking you out to a wonderful wide balcony terrace. 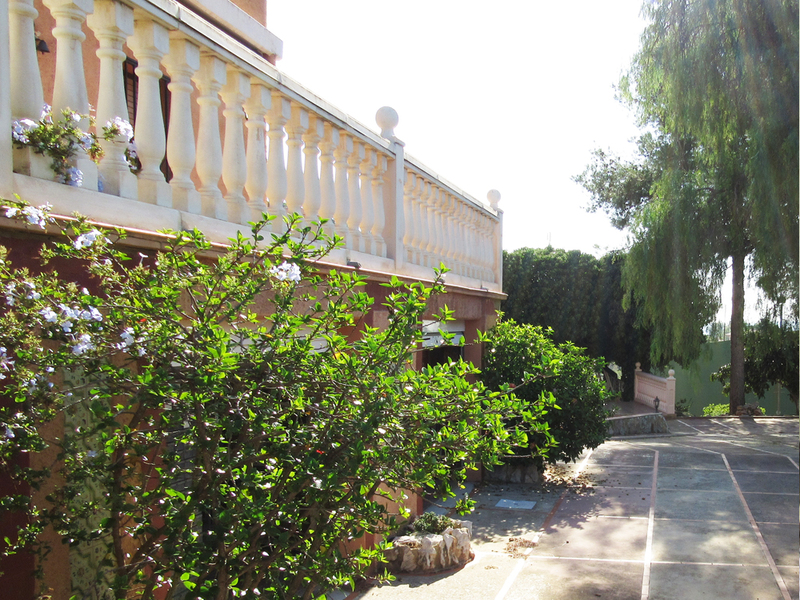 This terrace also has stairs taking you back down to the front garden area and it overlooks the swimming pool. 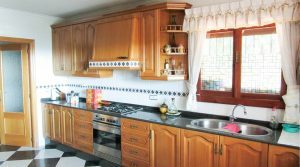 Back inside the villa on the ground floor you have a spacious fully fitted kitchen which has a catering standard large fridge freezer and many other electro-domestic appliances, together with a walk-in 4m² larder which is a nice feature. 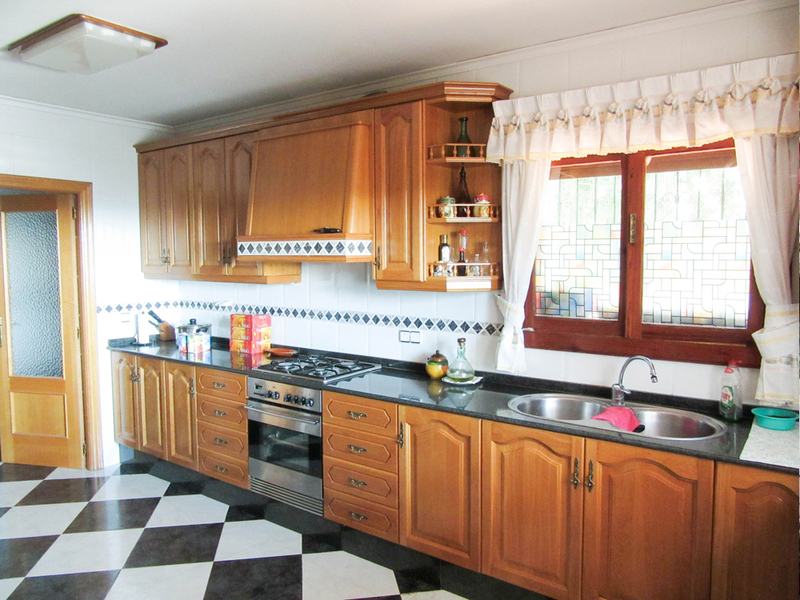 This kitchen also has access to its own private covered terrace. 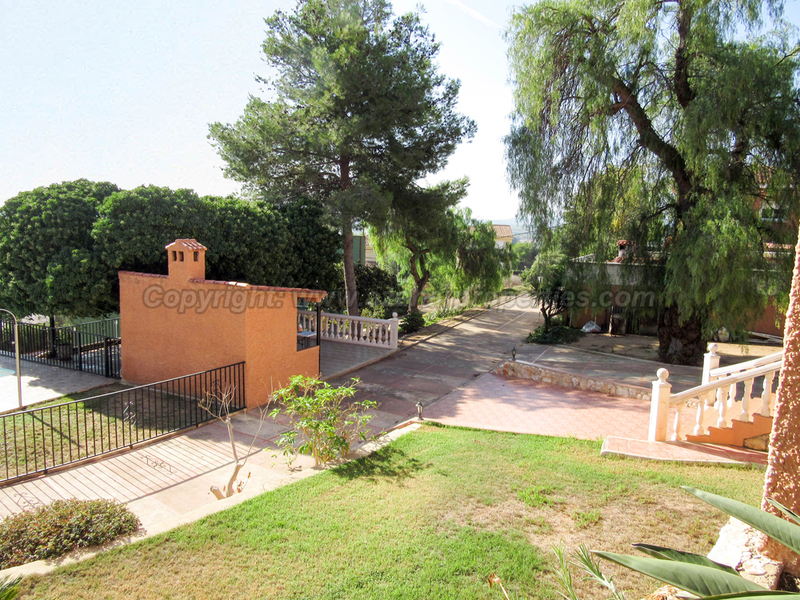 which acts as another entrance to this large villa. 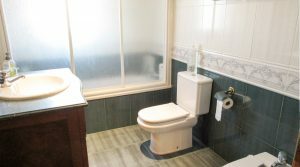 Also on this ground floor there is a double bedroom complete with fitted wardrobes and a bathroom which has a good quality vanity unit and a shower. 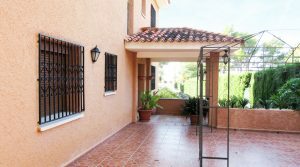 Upstairs on the first floor you have five double bedrooms, some of which have their own patio doors with balconies that surround parts of this large villa. 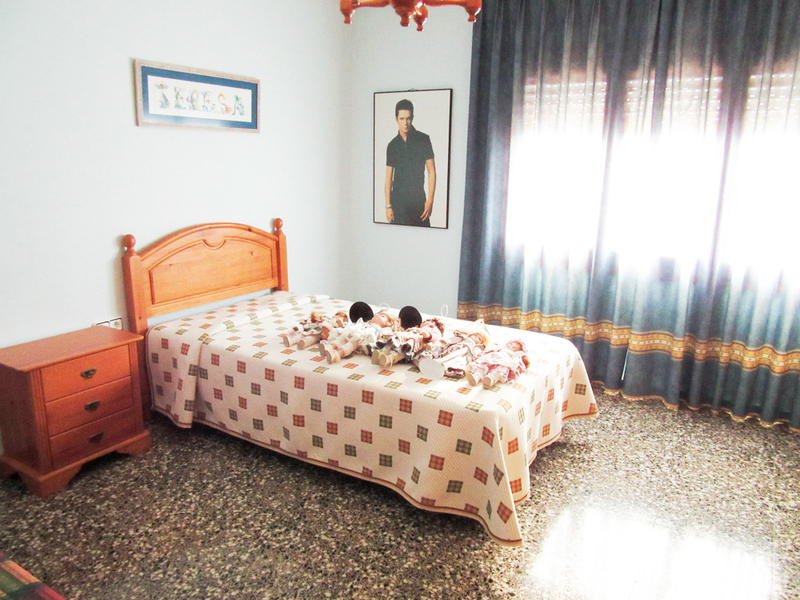 The bedrooms have fitted wardrobes and there are two separate bathrooms on this floor. 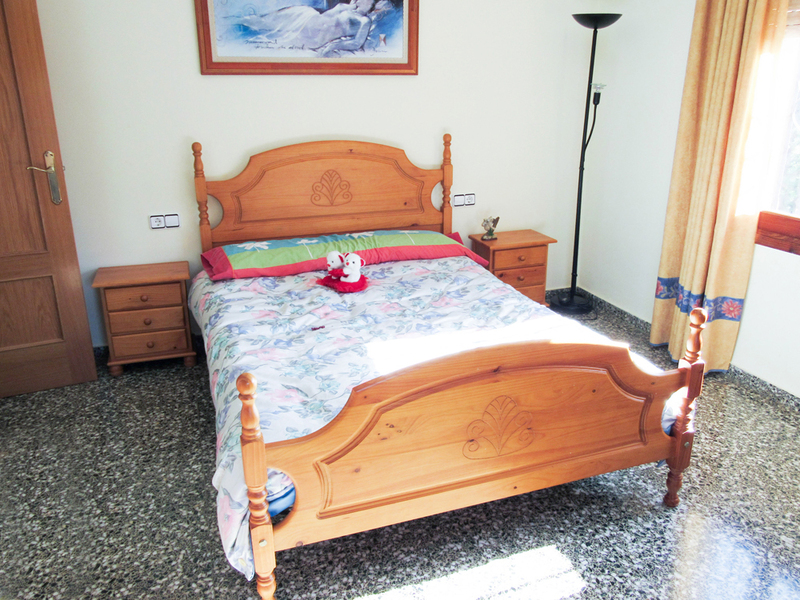 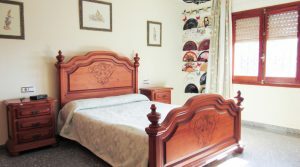 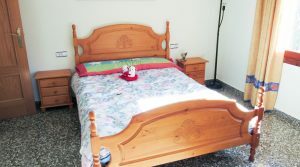 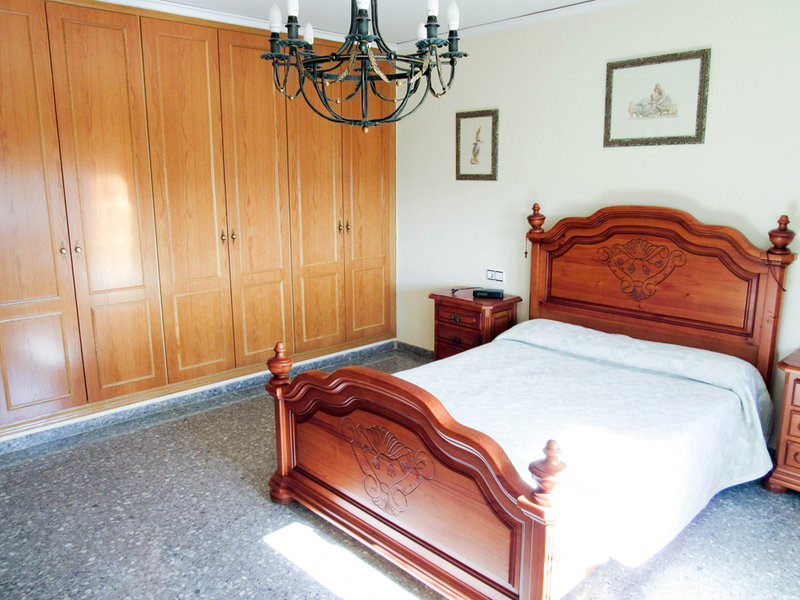 The master bedroom has triple fitted wardrobes and this is a large bedroom at 17m² complete with a small balcony. 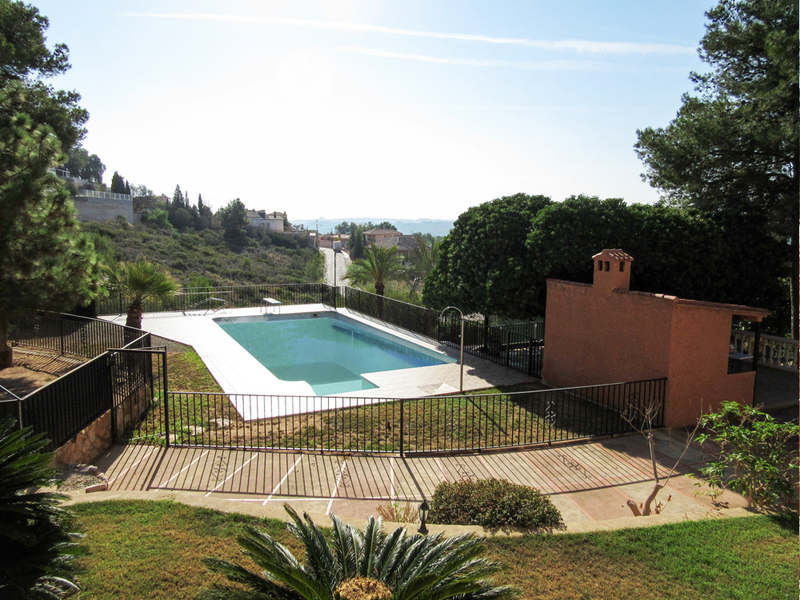 Outside across from the front of the villa you have the swimming pool terrace where there is a 12m x 6m tiled swimming pool complete with a filter and pump system which is kept in it own pool house. 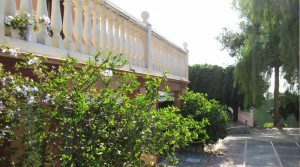 Adjacent to the swimming pool there is a charming natural canopy covered terrace from the trees and a large outside kitchen area/barbecue. 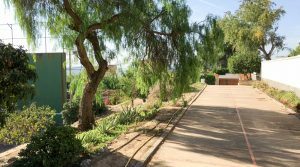 This is the most perfect place for entertaining and where to enjoy an event with your friends and family amid the landscaped gardens and grandeur of this wonderful villa. 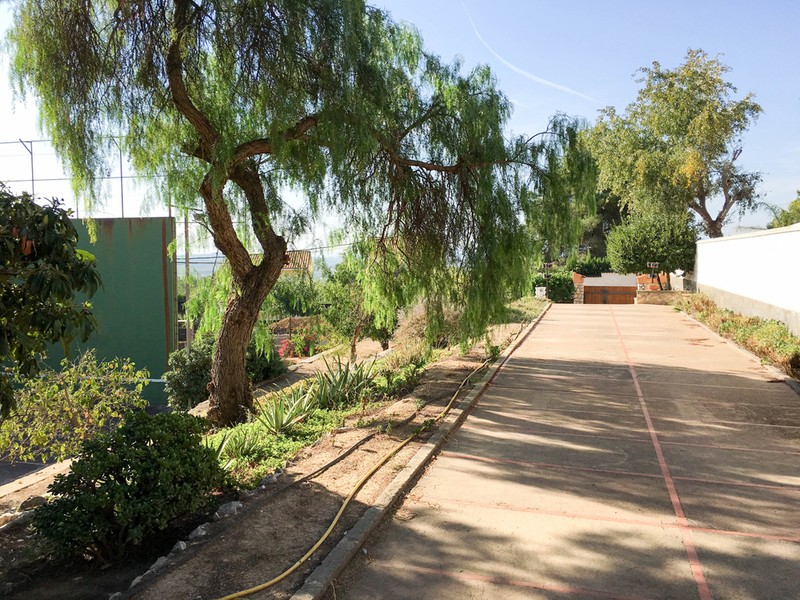 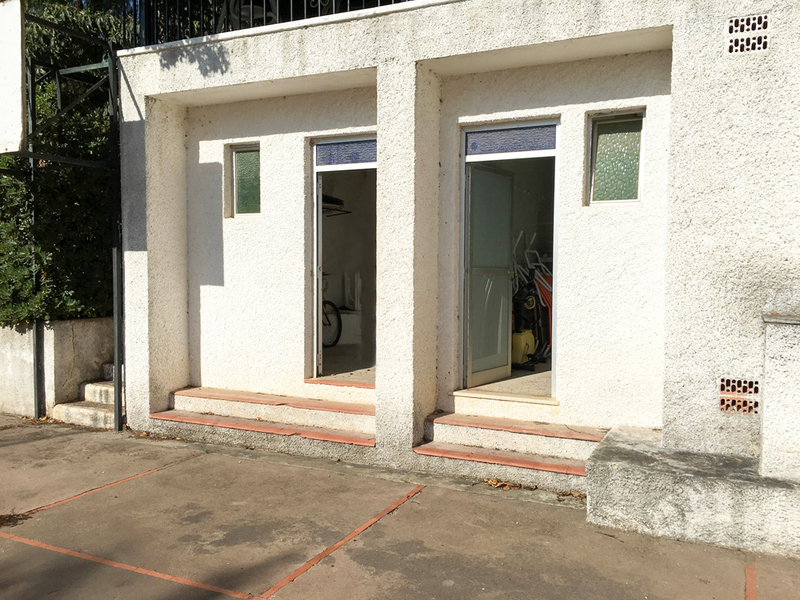 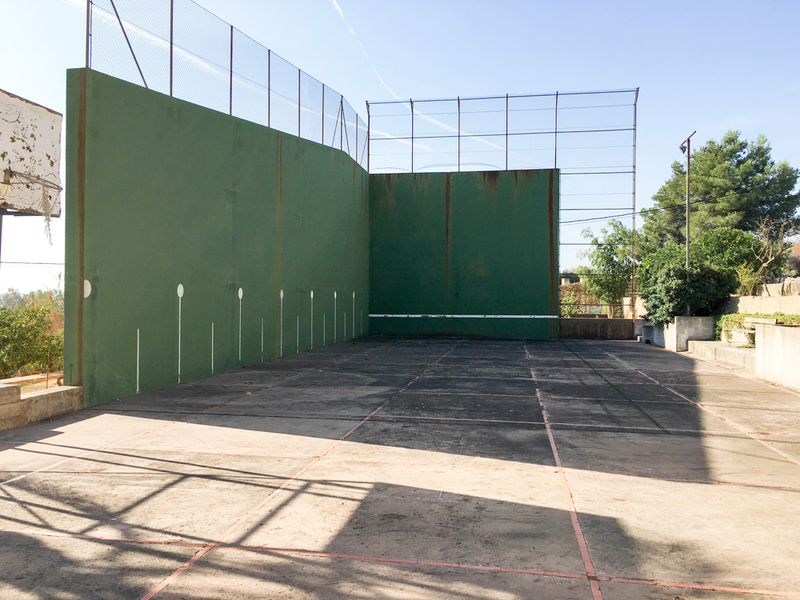 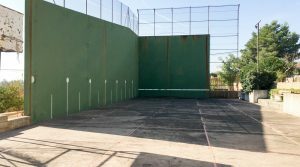 In the lower part of the gardens you have you own fronton tennis court, complete with a men’s and ladies changing room with bathroom facilities, together with a separate store room. 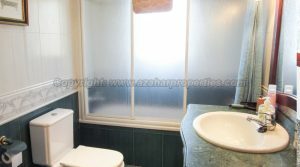 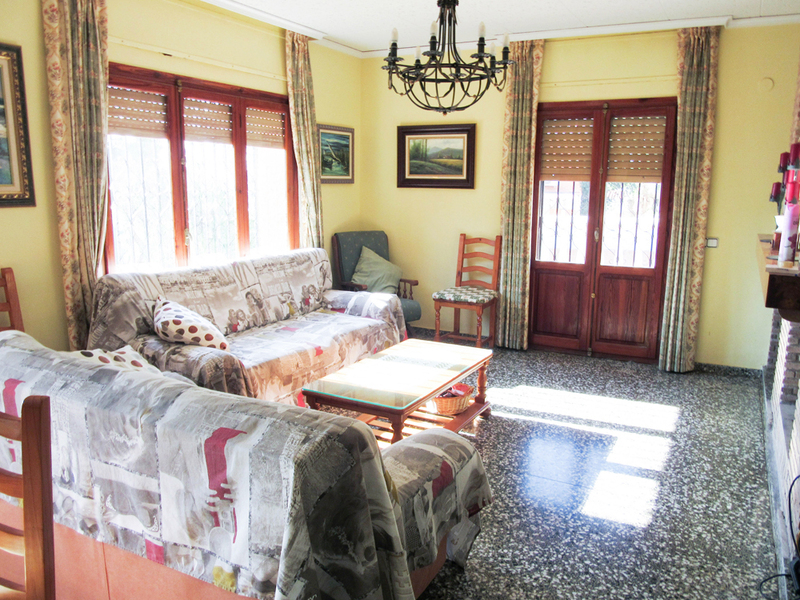 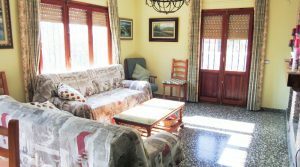 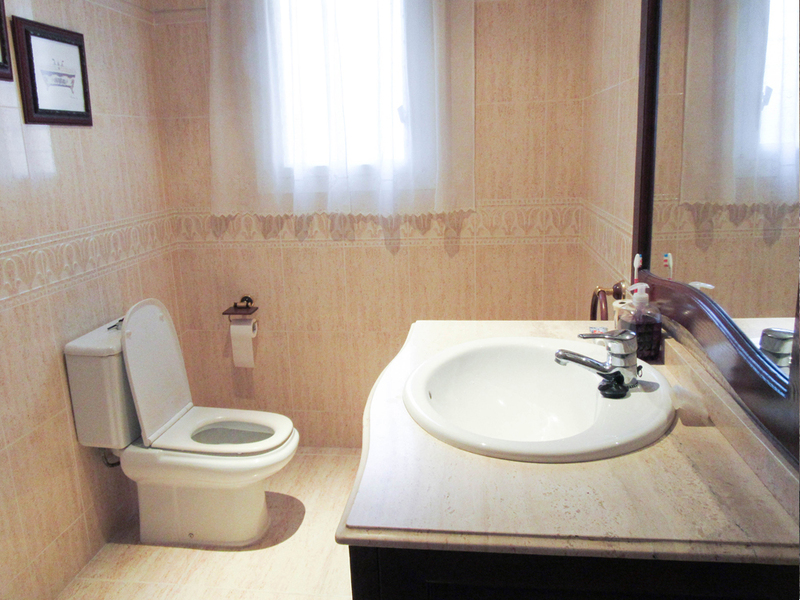 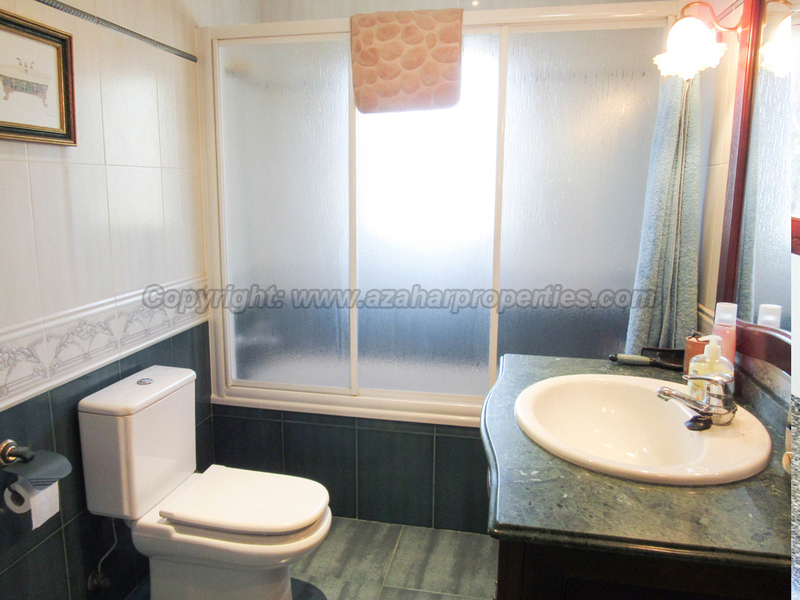 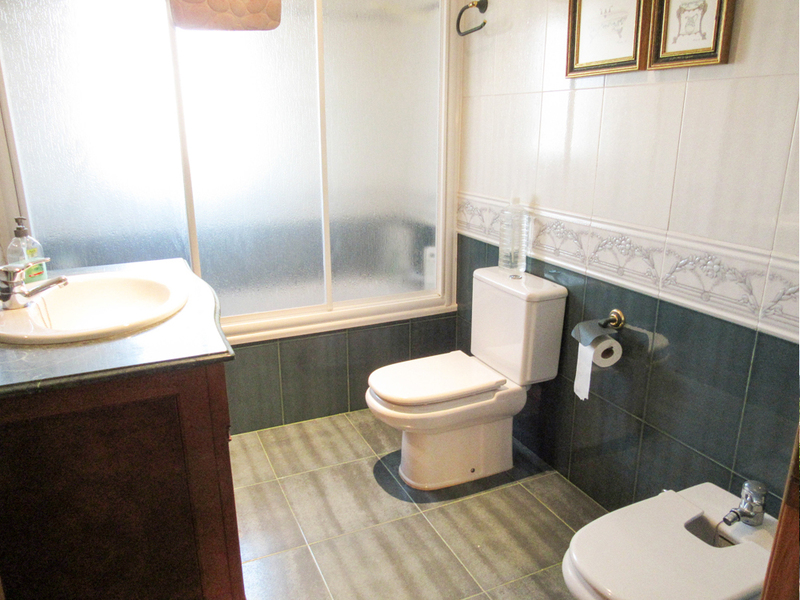 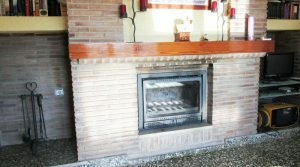 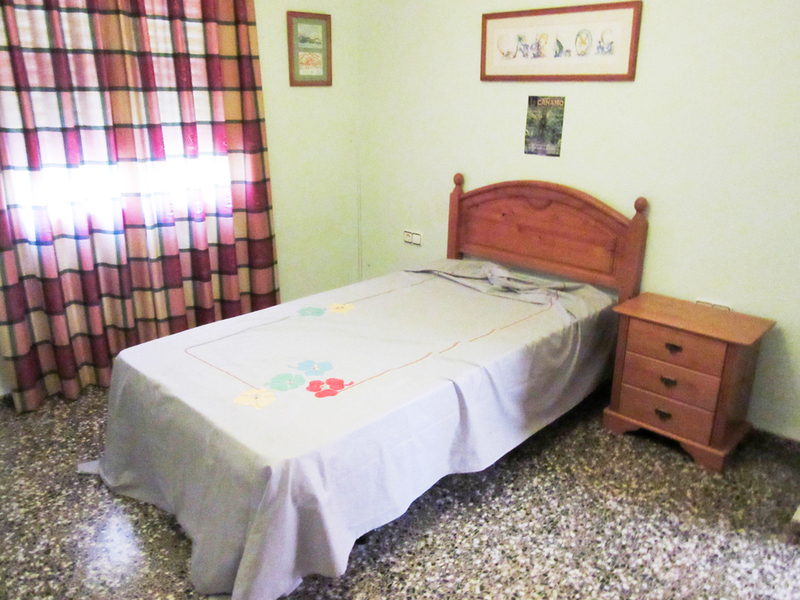 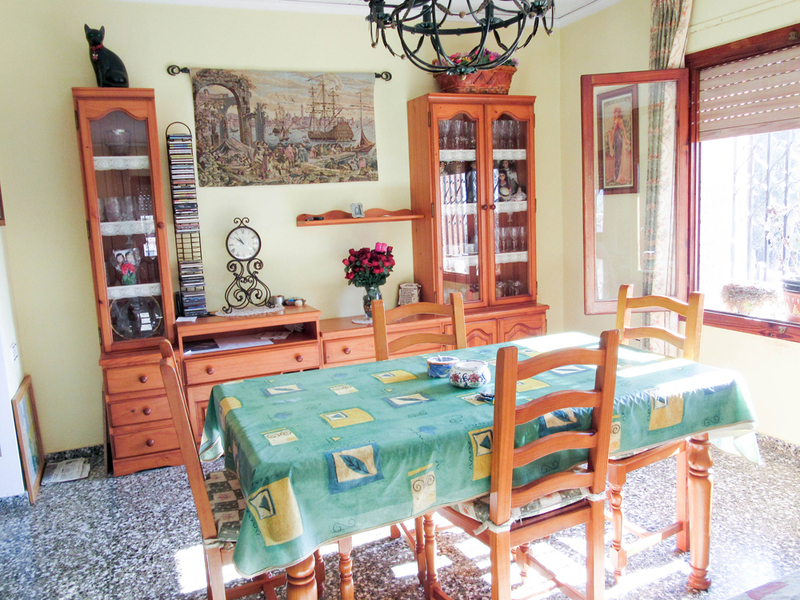 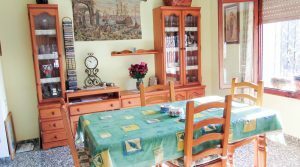 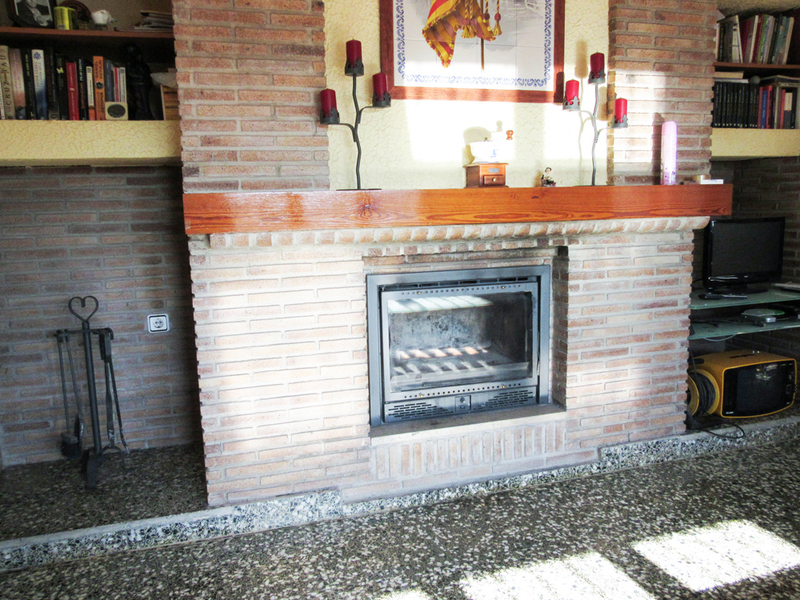 This large property is being sold partly furnished and it is one urbano property for sale in Valencia that certainly has the ‘wow’ factor and it has recently reduced in price by its owners by 55.000 Euros to prompt a quick sale.